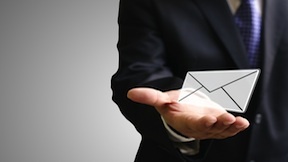 Do your co-workers frequently complain about your curt, cold email messages? Do you often accidentally hurt the feelings of a fellow employee when responding to an email? You might have picked up bad email manners during the course of your career. Fortunately, you can take steps to erase this bad email etiquette. With practice, you might even become one of your company’s favorite e-mailers. According to a recent story by Inc. magazine, good email etiquette starts with knowing what subjects to address in an email and which ones to handle in a more personal way, either over the phone or person-to-person. It’s like breaking up with someone; you wouldn’t do that in an e-mail, would you? If you’re rejecting a fellow employee’s request to work together on a project, or giving a fellow-co-worker a negative performance review, it might be best to pick up the phone or schedule an in-person meeting. Sending an email message with negative information seems passive-aggressive. Alex Colon, an advice columnist for PCMag.com, provides another important tip: No sarcasm. The problem, of course, is that sarcasm can be very tricky to detect in an e-mail. Besides, in a professional work environment, sarcasm is best avoided in written correspondence. What, Colon asks, happens if the person to which you sent your sarcastic email needs to forward that email to company superiors? Even if these higher-ups can detect the sarcasm, there’s no guarantee that they’d appreciate it. Inc. Magazine also suggests that you only send an email message when you’re calm. Upset about a fellow co-worker missing an important project meeting? Don’t rush to your inbox to send a scalding letter to your fellow employee. Take a breath, relax and send that message out after you’ve calmed down. Remember, a furious email message could live on forever. You don’t want to become known as the angry worker at your office, do you? Oh, and one final suggestion – also from Inc. – do not use exclamation points in your e-mails unless absolutely necessary. A message filled with exclamation points makes you look childish.